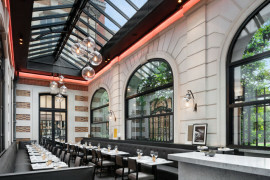 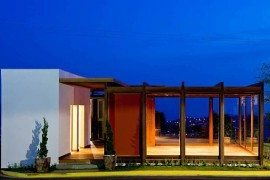 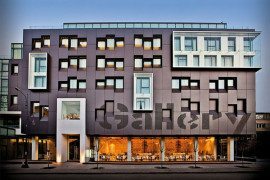 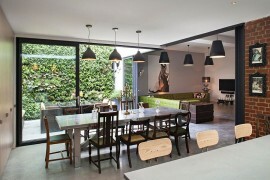 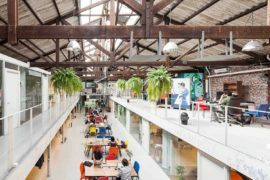 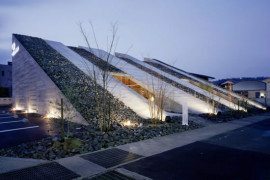 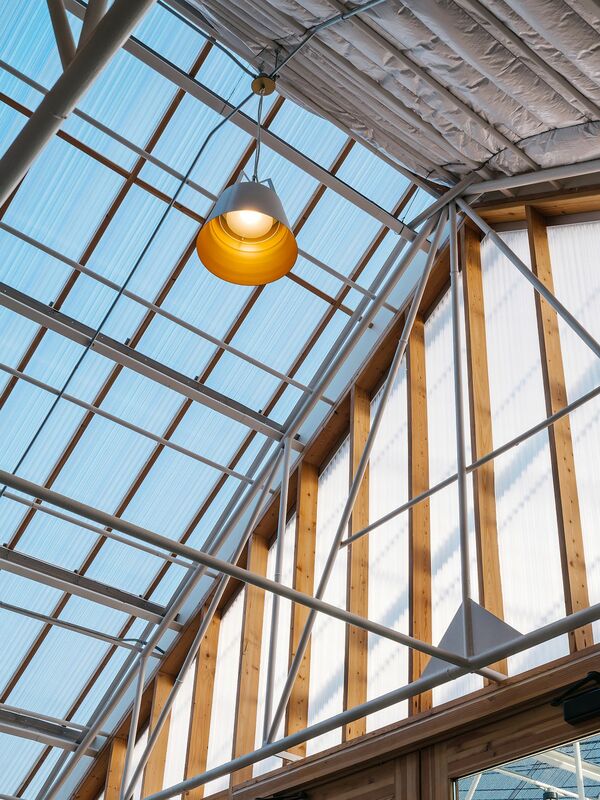 There is nothing better than utilizing something that is old and discarded and transforming it into a useful, modern setting – a transformation that saves both energy and resources. 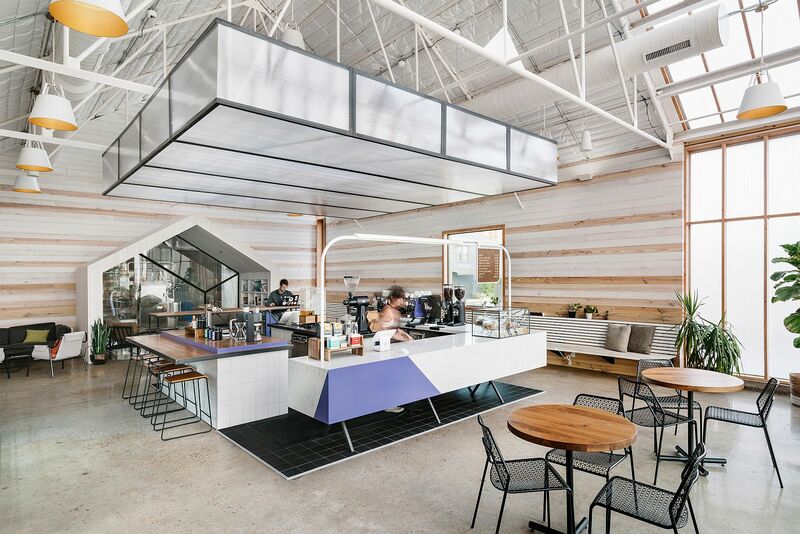 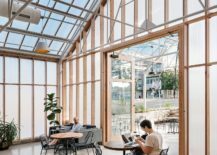 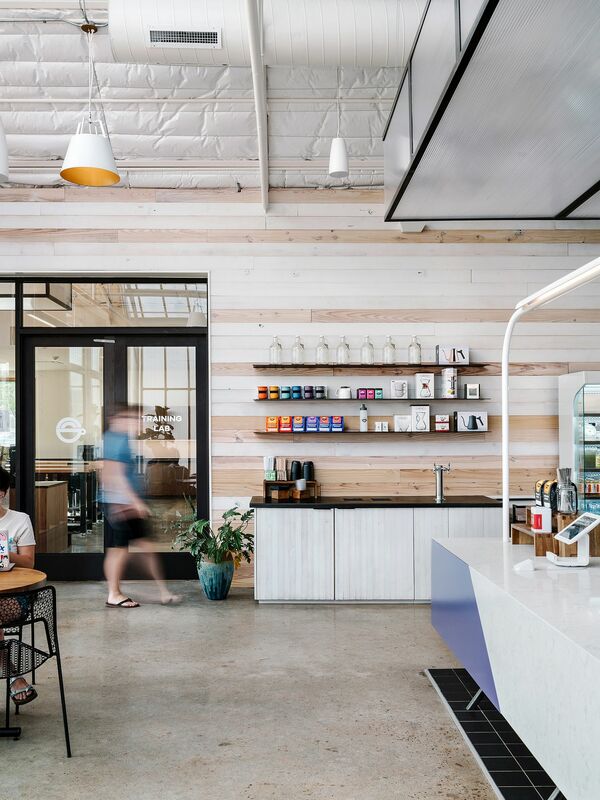 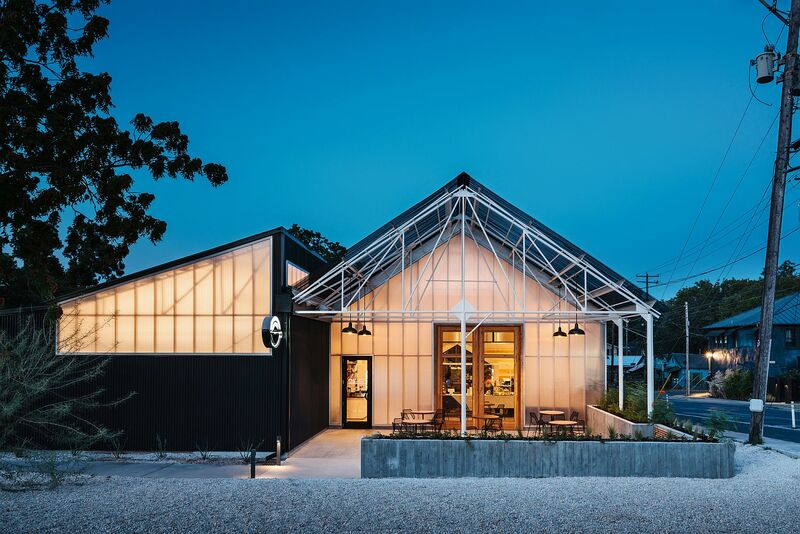 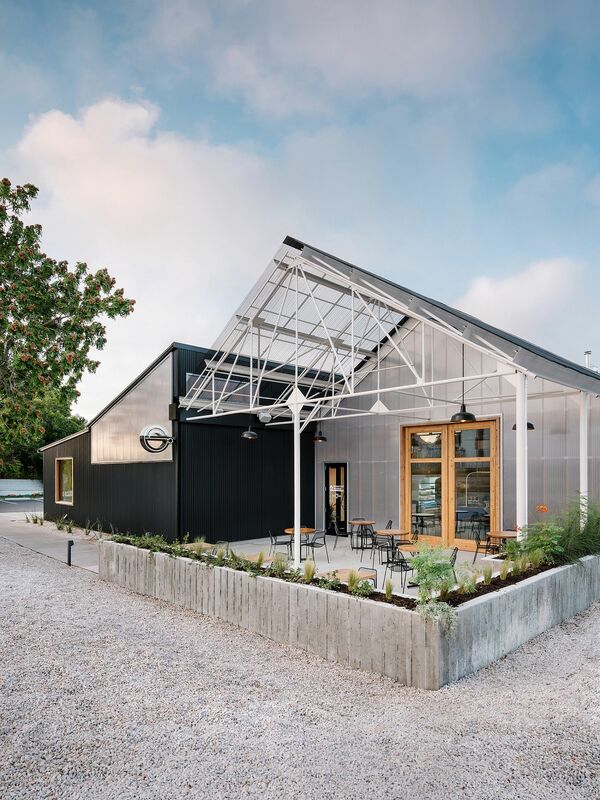 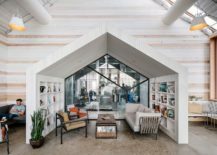 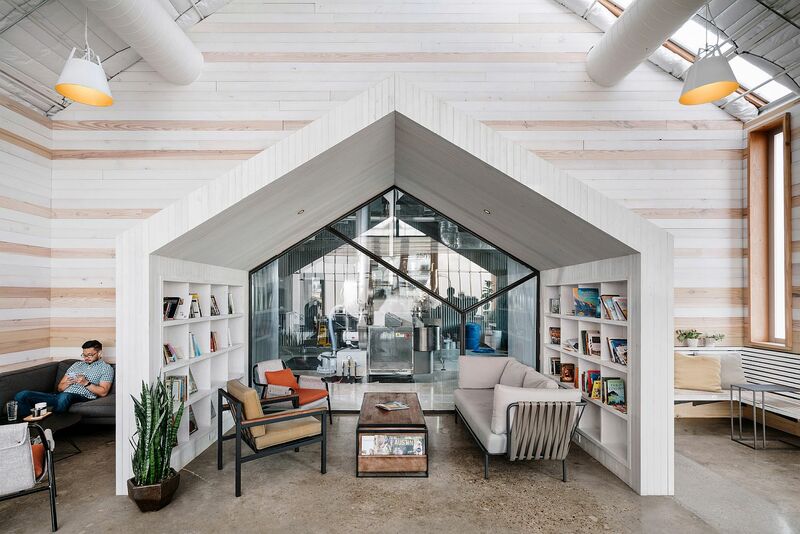 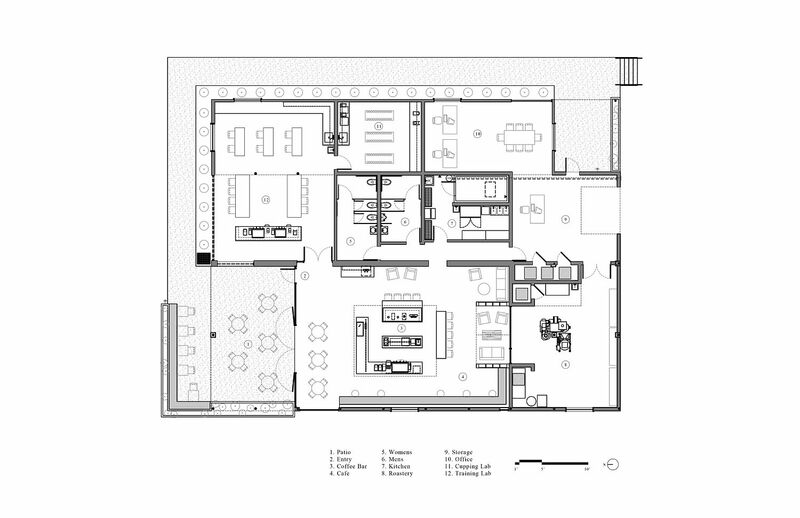 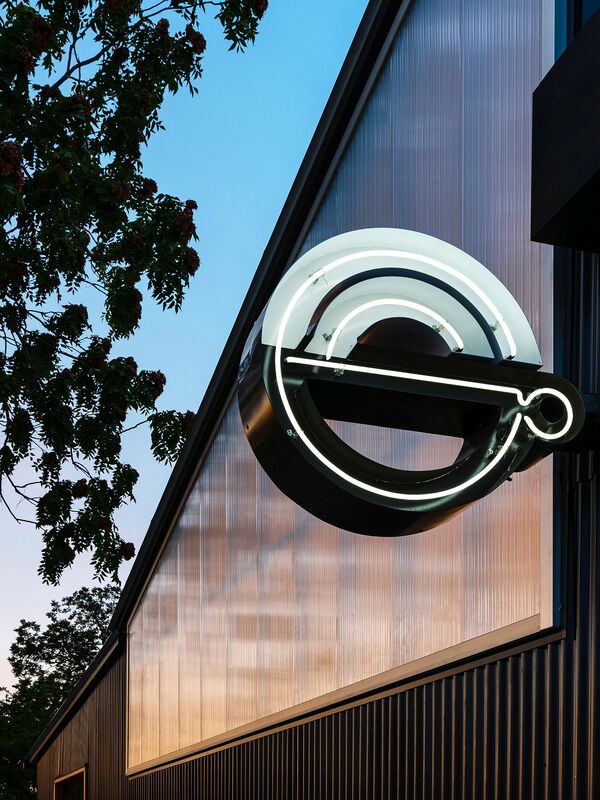 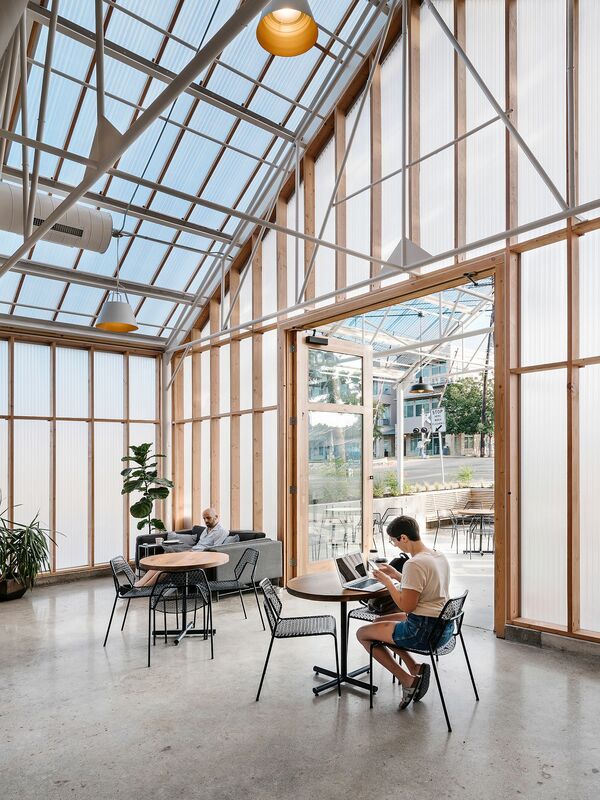 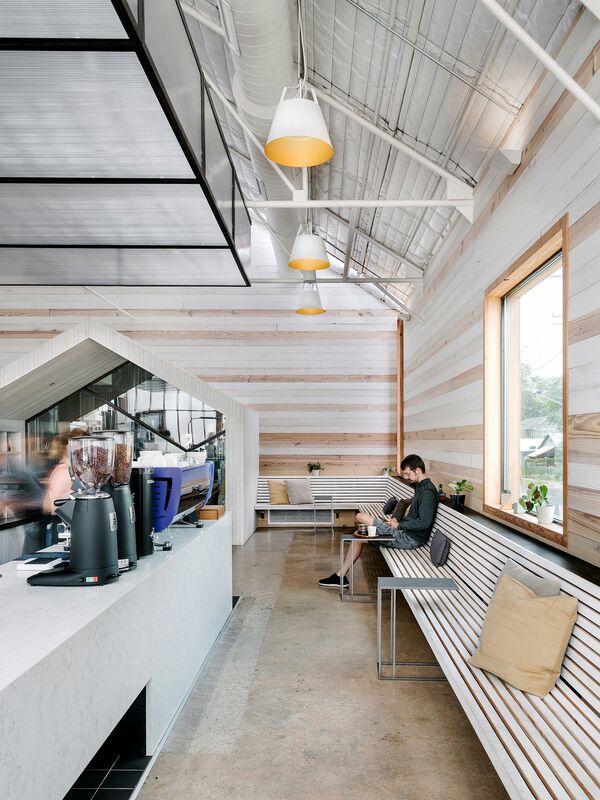 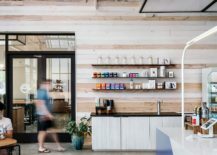 Turning an unused automobile warehouse into a gorgeous café with modern industrial flair, Michael Hsu Office of Architecture went down the adaptive reuse path, giving East Austin a brand new hangout. 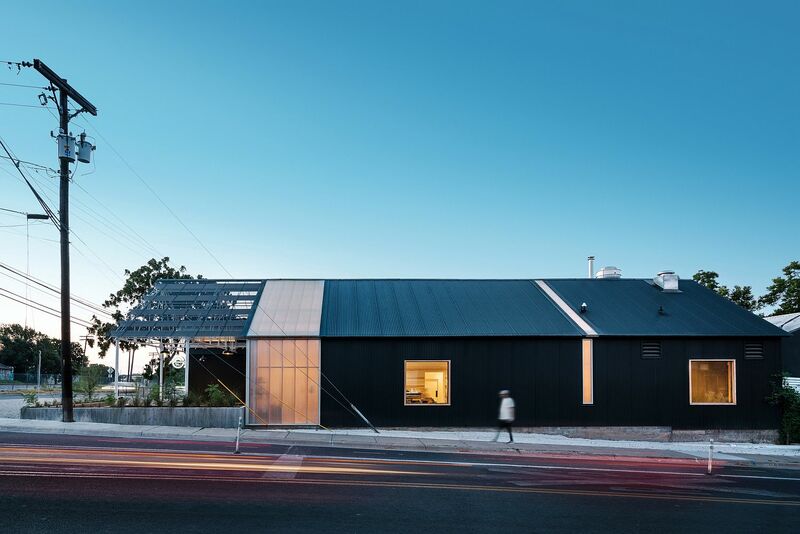 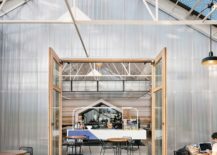 The existing outline of the old warehouse has been kept intact with a sturdy steel frame and a gabled roof giving the cafe, roastery, and training facility a striking silhouette. 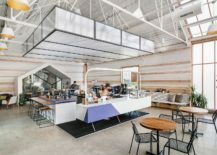 But there is much more to the Greater Goods Coffee than meets the eye! 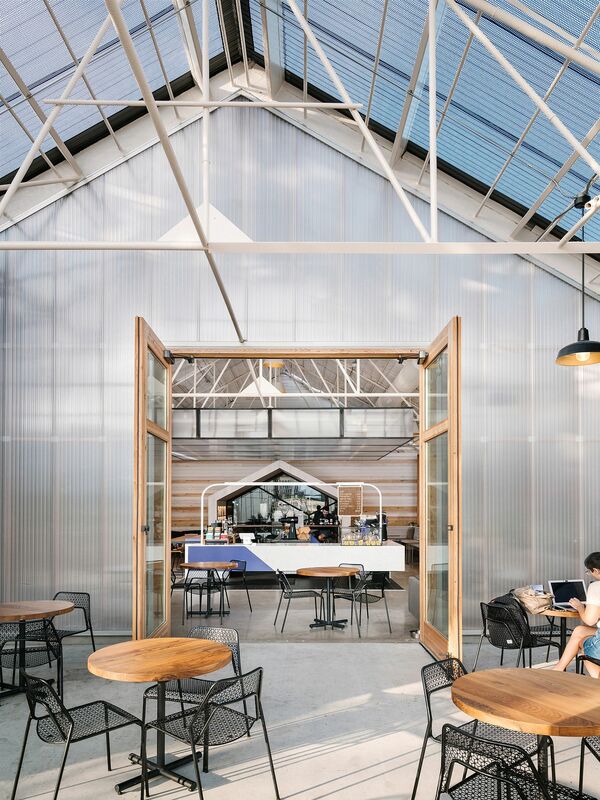 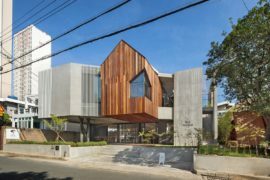 Translucent polycarbonate panels and wood give the interior a bright and airy visual appeal while ushering in ample warmth. 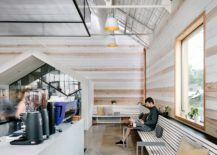 Wooden planks covering the walls and the floor bring warmth to a café that is otherwise largely stoic because of its industrial heritage. 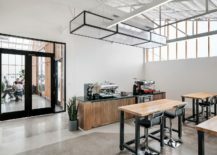 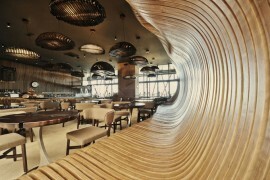 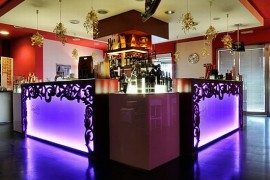 Inside, the centrally placed bar has been split into different sections to encourage more interactivity between the customers and the baristas.